Emporio Armani дамское белье - женское белье и одежда для дома Emporio Armani. We are glad to see you on the Youth Aikido Federation of Russia official web site. Here you can find common information about us and generally about Aikido in Russia. We recommend you to visit our Aikido community on Facebook, were you can find photos from most important events in Russian Aikido life. On the website there is a special page for instructors. The federation was founded in February 03, 1999 (the Status: Interregional public organization). It unites Aikido practitioners aged from 4 years across all Russia and develops Aikido Aikikay which has gained the biggest distribution in the world direction. We are the only one legaly All-Russian Aikido organisation. The main advantage of Aikido of Aikikay in comparison with other directions is a lack of competitions in any form that allows not to pursue the result, not to divide students on "perspective" and "not perspective", and to give everyone opportunity to reach own tops. The head of Youth Aikido Federation of Russia is Sobolev Daniil Mikhailovich. The Youth Aikido Federation of Russia is one of founders Aikido Aikikai Federation of Russia, the only organization in Russia, having official recognition of the World Center of Aikido (Japan, Tokyo). Recognition, first of all, assumes great powers in the field of carrying examinations in Russia up to degree of the second Dan. It also grants the right of creation of official institute of instructors of FAAR, having international recognized categories shidoin and fukusidoin. They are form national and regional certifying commissions of AIKIKAY in Russia. 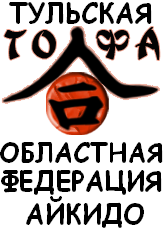 The all-Russian Union of Public Associations Aikido Aikikai Federation of Russia (OSOO "FAAR") was created in June, 2001 at the initiative of 3 public organizations: Moscow Federation of Aikido of Aikikay, Youth Aikido Federation of Russia and Nizhny Novgorod Federation of Aikido of Aikikay. The chairman of the supervisory board - Kiriyenko Sergey Vladilenovich, 4 Dan Aikido Aikikay. Youth Aikido Federation of Russia actively participates in all significant Aikido events in Russia.